If your solar system isn’t quite meeting your electricity needs, it’s almost always possible to expand your system to incorporate more panels. Adding panels to an existing system is more common than you might expect. We’ll discuss why expanding your array is a great option, and we’ll address the best ways to do so. But you’ll also want to talk to your solar installer about expanding your system. There are a few reasons homeowners may decide to expand their system after it’s installed. If any of these common reasons apply to you and your home, you’re a good candidate for a solar upgrade. You’d prefer several smaller installments. Solar panels pay for themselves over time, so it’s sometimes easier to expand a system slowly to lessen the initial investment cost. In most cases, it makes sense to initially install a conservative system for financial or other reasons. Once your panels pay themselves off, you’ll be in a good financial position to invest in more panels. You’ve increased your electricity use. In many cases, you may see an increase in your electricity use after installing your solar panels. The thought of producing “free” electricity tends to make solar customers more relaxed about their energy use. If you start leaving your lights on more often, you may want to install more panels to account for the additional usage. You’ve expanded your home. If you add an extra room or two to your home or refinish a basement or garage, your electricity bill is likely to increase as well. Adding more solar panels can minimize the financial sting of your home expansion. Furthermore, additions often provide additional roof space for mounting another solar rack. You’d like to take advantage of Solar Renewable Energy Credits. If your municipality offers a Solar Renewable Energy Credit (SREC) marketplace, you have the option of selling your excess electricity back to the grid. Commercial entities are required to meet renewable energy quotas and are happy to purchase your excess electricity through this marketplace. This can make installing a few extra panels enticing since you can sell the excess electricity for a profit. It’s relatively easy to add panels to an existing system; many of the more difficult steps, such as tying your system to the grid, will already be complete. You can explore several options for a system upgrade, depending on your available roof space and the specifications of your solar system. It’s best to hire your original solar installer for any upgrade to your system. They’ll likely honor the initial warranties on your solar system after the upgrade. Changing installers for an expansion can void any current warranties on your system because the original installer can’t verify the work of another contractor. This is important to consider, as the warranties on solar systems can be very long. If you have additional roof space with good sun exposure, it’s relatively simple to install more solar panels on a new section of rack. These additional panels can usually be tied into the existing string, giving you more solar capacity without any major changes to your current system. This is the ideal scenario for an upgrade, and customers who know they’ll be expanding their system later can plan the initial design with an eventual upgrade in mind. However, upgrades aren’t always this simple. Roof space, inverter capacity, and sun exposure can all limit your ability to expand your system. With a little creativity, however, it’s still possible to increase your system size. 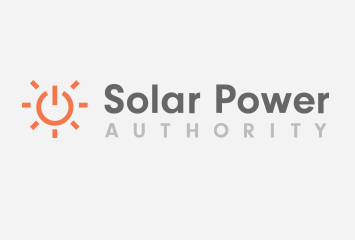 If you’re expanding your system by a considerable amount, certain municipalities may impose limits or require further approval for extra panels, so talk to your solar installer about any additional permissions you may need before you proceed. If you’re using a single inverter, you may be limited in what panels you can use to keep your system running efficiently and smoothly. 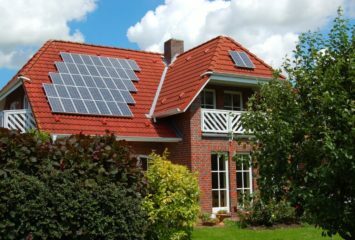 When upgrading your solar system, you’re almost always better off using panels identical to those in your existing system. If the panels in your current system are no longer available, panels of similar capacity are your best bet so the efficiency of your array isn’t compromised. In other words, if the panels in your system have an output of 250W, your additional panels should also have an output of 250W. Your inverter is usually chosen based on your system size, which means your original inverter may not have enough capacity to handle additional electricity generated by new panels. However, there are two options for expanding this capacity. In most cases, simply installing a second inverter and handling the additional panels as a separate array is a simple and straightforward approach. Both inverters can be tied to the grid, so you usually don’t need to seek additional approval with your planning board or your utility company. Alternatively, many solar panels manufactured today use a microinverter. Microinverters convert the current of a single panel, rather than a whole string, and they are much smaller and less expensive than traditional inverters. Microinverters simplify an upgrade to your existing system because the new panels will each convert their own current. You can add panels with microinverters a few at a time, and you don’t need to install additional components like a second inverter. Microinverters have a few other benefits as well. With a microinverter, you can install higher capacity solar panels than those in the original system. Each panel will convert its own electricity, so it won’t be affected by how large the other panels are in the rest of the string. Additionally, a shaded panel with a microinverter won’t drag down the efficiency of the rest of the string because it has its own inverter. If your home’s roof is out of space for your expansion, you might consider a ground-mounted system. By utilizing some open space in your backyard, a ground-mounted array can increase your capacity without requiring additional roof space. Ground-mounted systems are very easy to install, making them even more affordable than your roof-mounted array in most cases. They’re also easy to keep clean and repair if there’s ever an issue down the road. With enough open space, you could even consider a tracking array, which would rotate throughout the day to maximize sun exposure. These systems are even more efficient than traditional roof systems, giving you the best value for your upgrade dollar. 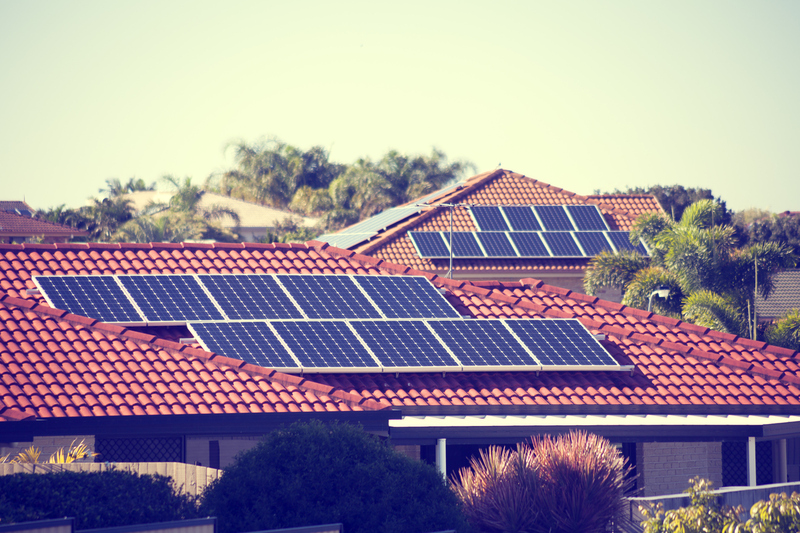 Almost all solar customers are eligible for a solar upgrade. Expansions are common enough that your system may already be designed with an upgrade in mind. If you haven’t installed a solar system yet, you might consider adding a larger inverter to make upgrading down the road as simple as possible. Get started with a free quote on our website, then talk to your installer about expanding your array in the future.